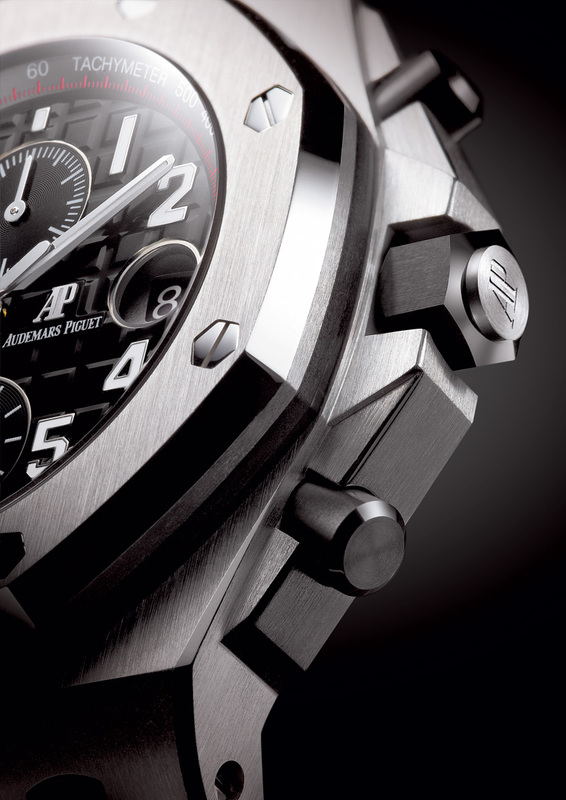 Audemars Piguet has updated the 42 mm Royal Oak Offshore, keeping much of it the same but improving several details, including ceramic pushers and crown, and giving it the in-house cal. 3126 movement. 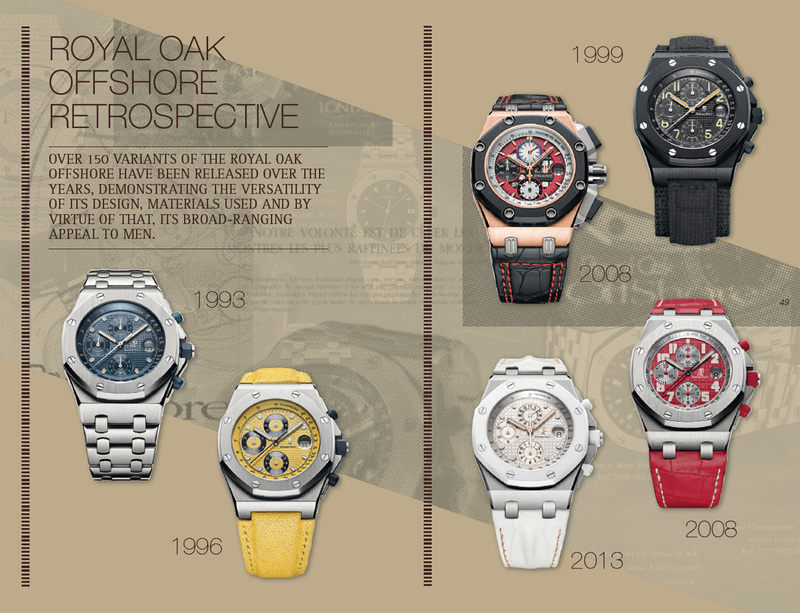 In its 21st year, the Royal Oak Offshore has received a major, though subtle, revamp. 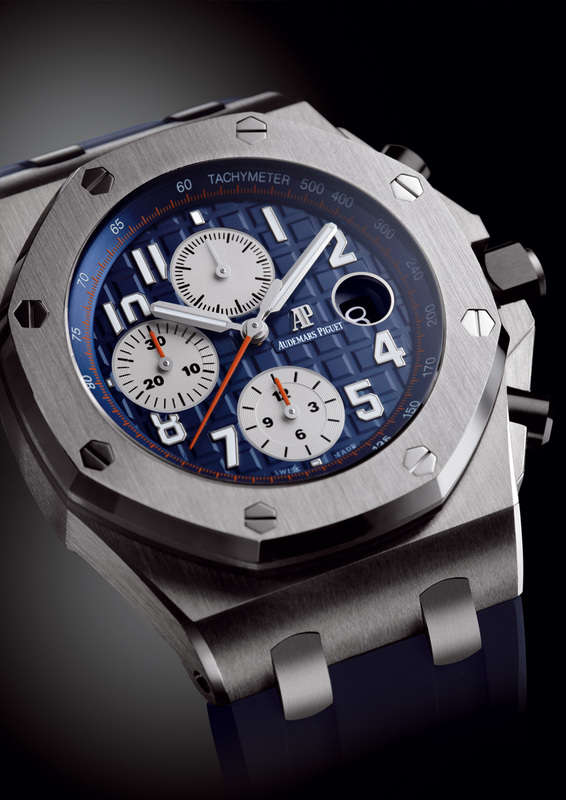 This keeps the Offshore 42 mm in tune with the rest of the Royal Oak collection, while maintaining its key characteristics. The new Offshore ref. 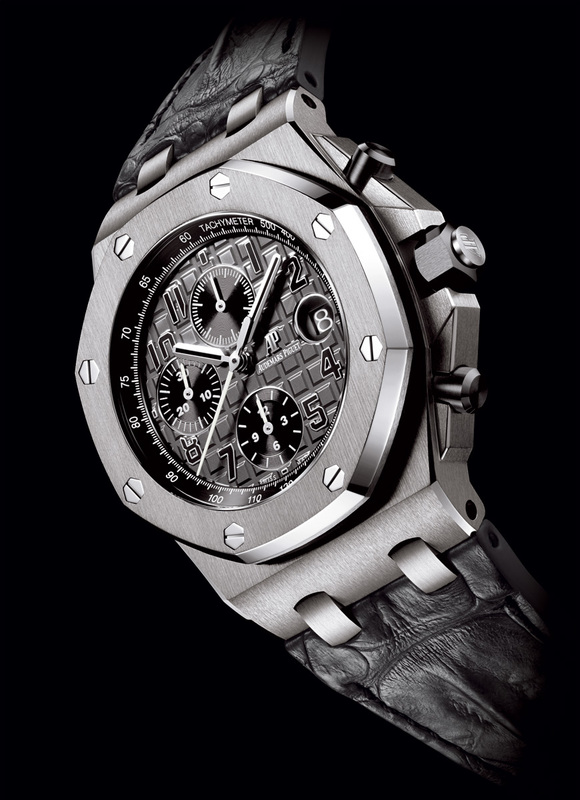 26470 series comprises six models, in either pink gold or steel. 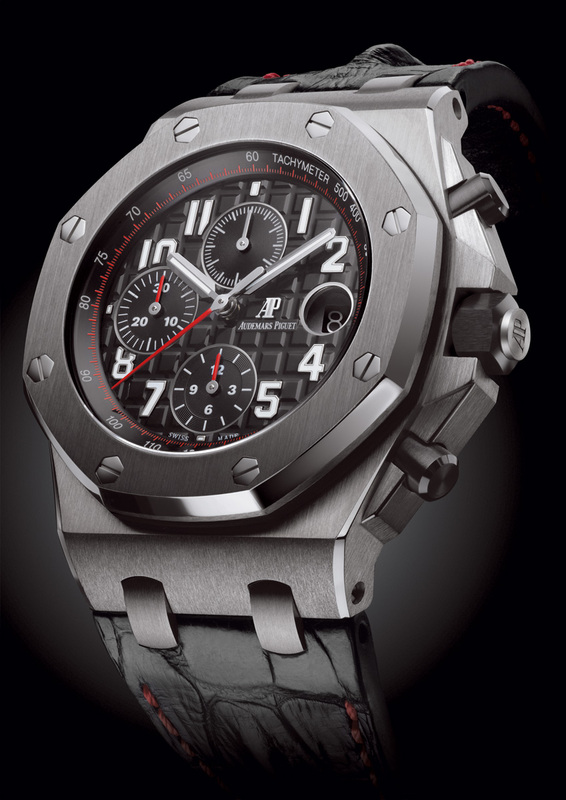 Importantly, the new Offshore replaces all current Royal Oak Offshore 42 mm models. 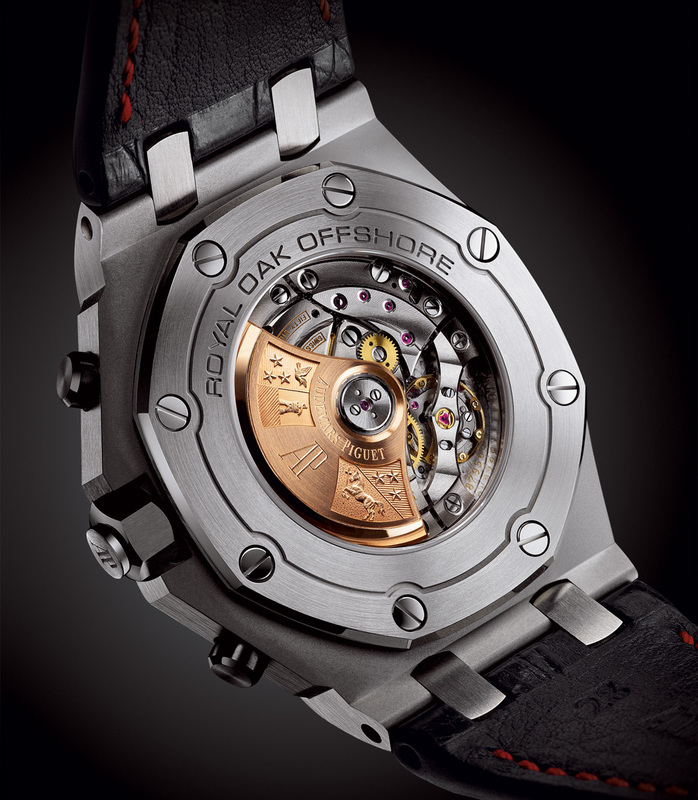 The new Offshore case remains at 42 mm, but has redesigned, more angular crown and pusher guards, giving it greater resemblance to the 44 mm Offshore. In addition, the crown and pushers are now in brushed black ceramic with polished bevels, instead of being Therban (a synthetic rubber) coated metal. Another important change is the introduction of the in-house cal. 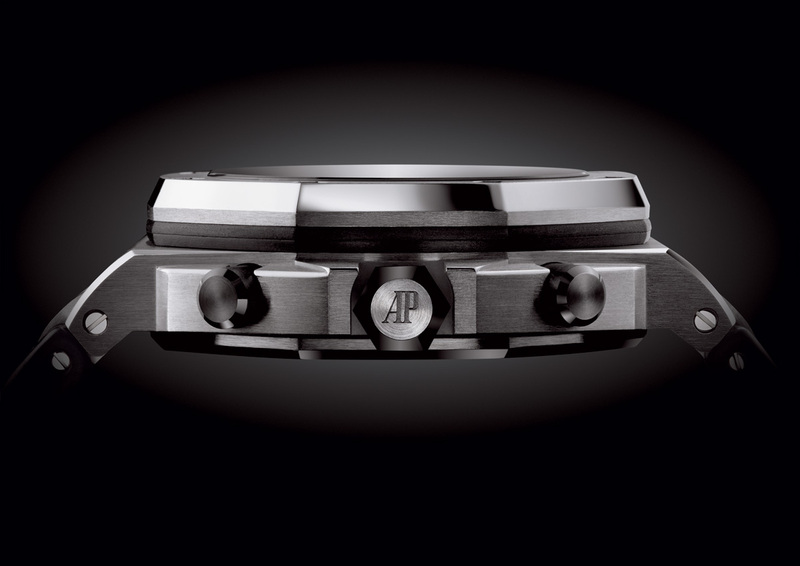 3126 movement for all the new Offshore 42 mm watches. This replaces the cal. 2326, which was actually a Jaeger-LeCoultre cal. 889. The chronograph module, however, remains the same from Dubois-Depraz. Consequently, the new Offshores all have display backs, eliminating the soft iron inner cage of the original Offshores. Though broadly similar, the dials have minor but significant tweaks. 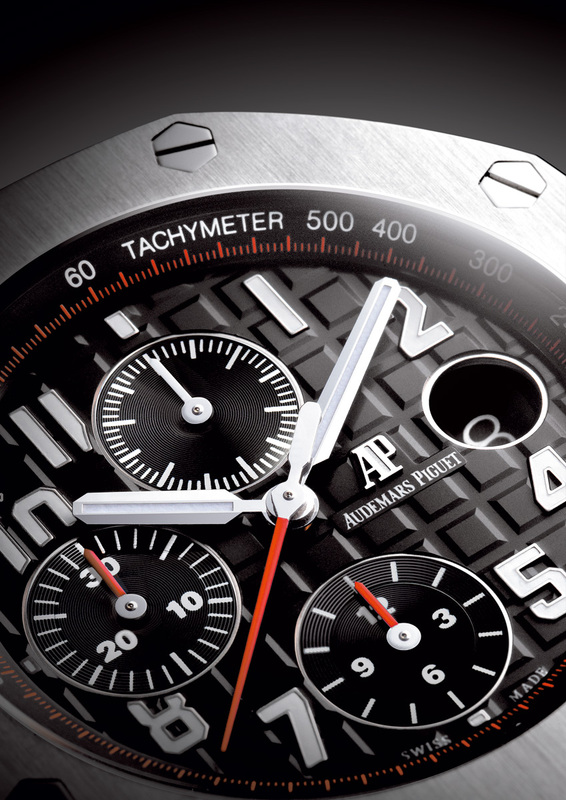 The date disc now matches the colour of the dial, just like on the updated Royal Oak Jumbo 15202. And the hour numerals are slightly slimmer and more angular, while the hands are now broader and facetted. Straps too have been revised. They now taper less and end in a wide pin buckle, just like that found on the Offshore Diver. 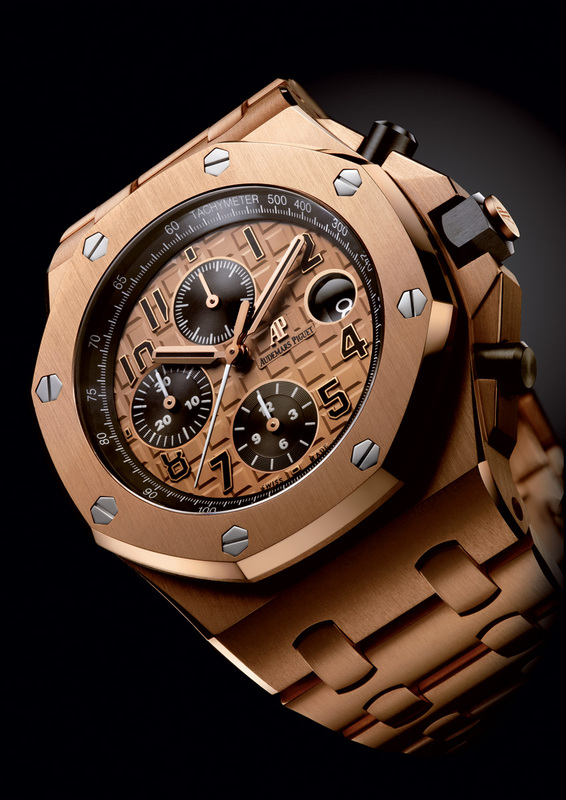 Six new Royal Oak Offshore models have been launched, two in pink gold and the rest in steel. 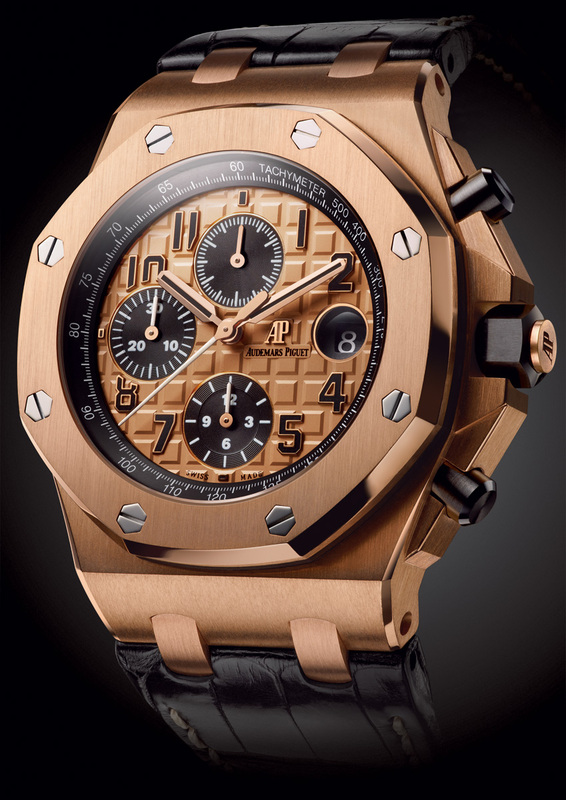 The two pink gold models have matching pink gold dials, along with black numerals. One is on a gold bracelet and the other on an alligator strap. 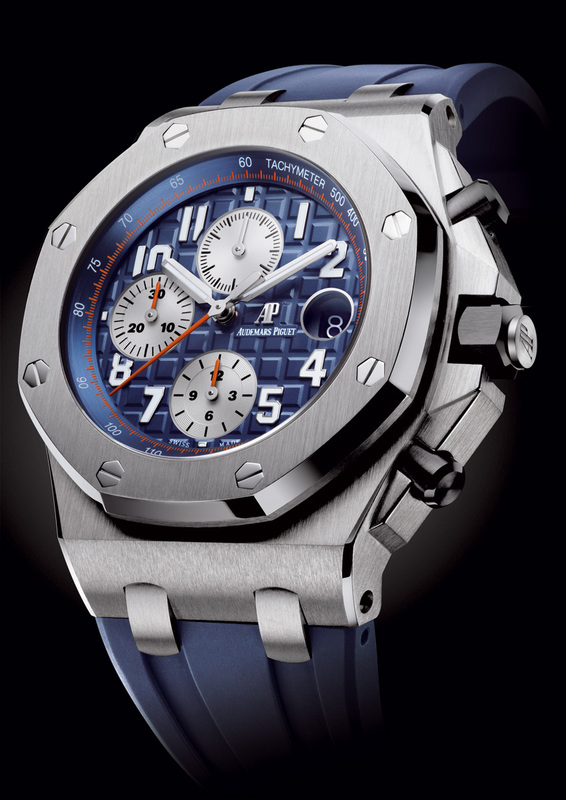 This is the new Royal Oak Offshore Navy, in steel with a blue dial and orange accents, on a blue rubber strap. 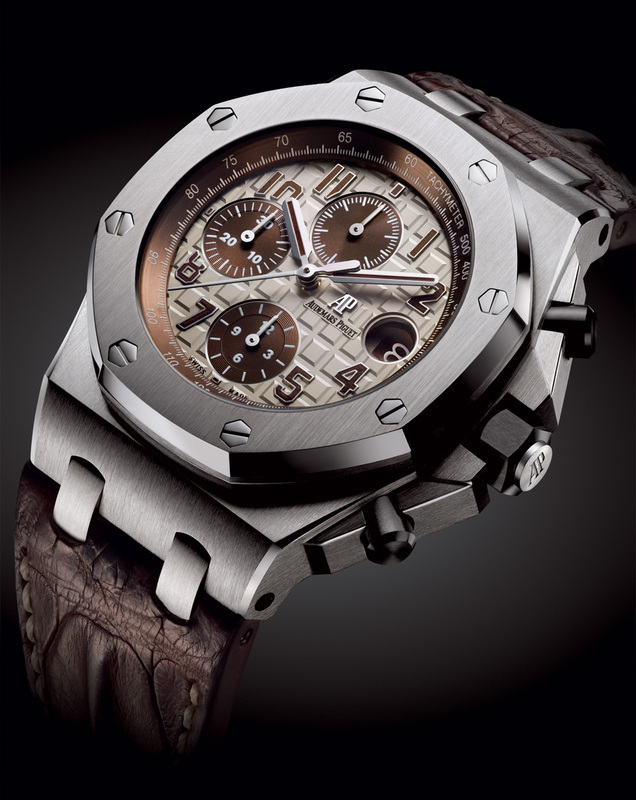 Also updated is the Offshore Safari, with an ivory dial and brown accents. The strap is brown hornback alligator. The last two have black dials. The first is black with white numerals and red accents, on a black hornback strap with red stitching. And the next one has a slate grey dial, matched with black sub-dials and numerals, on a black hornback strap. Pricing in US dollars is as follows: $25,600 in steel with rubber strap $26,000 in steel with hornback crocodile strap $40,700 in pink gold with hornback crocodile strap $69,200 in pink gold with pink gold bracelet As noted earlier, all the models on strap now come with a tang buckle in the same metal as the case. We leave you with this Offshore retrospective from AP which briefly outlines the evolution of the Offshore from 1993. For the very first time Audemars Piguet is making the Royal Oak Extra-Thin 15202 available in gorgeous yellow gold with a 50-piece limited edition for Singapore retailer The Hour Glass.